Sponges are aquatic creatures belonging to the taxonomic phylum Porifera. While the majority of them live in marine environments, around 200 species can be found in freshwater. Some adult sponges are fixed in place and don't move at all, but those who can tend to travel less than 0.04 inches each day. Most of the 5,000 known sponge species don't eat animals at all, but a small number are carnivorous. The majority of sponges are filter feeders, which means they eat tiny particles of bacteria and phytoplankton they syphon out of the water. However, sponges belonging to the genus Cladorhizidae are carnivores. 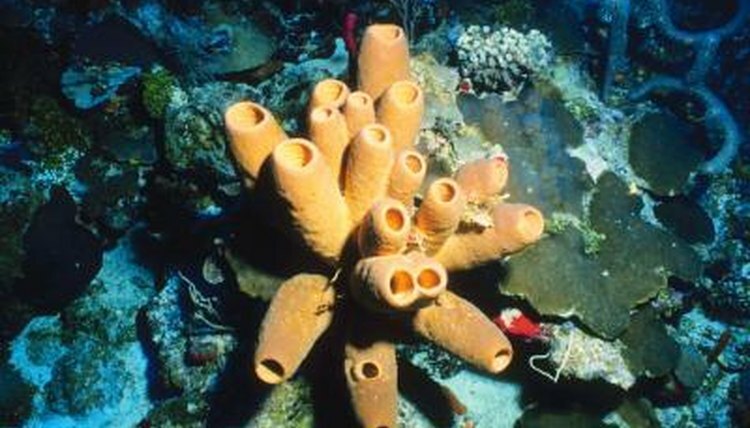 These sponges live in deep-sea environments and their carnivorous natures may be an adaptation in response to the lack of food found in their habitat. They're able to capture and eat a variety of small crustaceans and fish, using a system of filaments with hook-shaped spicules.